After a while we're here to update you that our illustration sets on Creative Market is growing by numbers and this time is all about animals. They are designed in several different styles and would be such a great time saver when you need to work on a design project. Time and again, it has been proven that a catchy and attractive logo is an effective marketing tool for any business or brand. It should be noted that people would often keep what they see in mind better than what they hear. Hence, creating a visually appealing and eye-catching logo to sell your brand might just do the trick. In crafting your logo, you have to ensure that it is specific and straightforward yet engaging to the eyes at the same time. It is also worth noting that a logo should stand the test of time. Even after a few alterations, the logo should still be recognizable. It should be treated with utmost importance in order to stand out from your competition, should there be one. 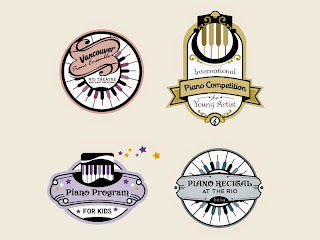 In this article, we will identify resources and tips on how to create a standout logo. Aside from the design, the color and the font are two of the most significant factors in a logo. Furthermore, we will identify several services for creating good logos for your business.